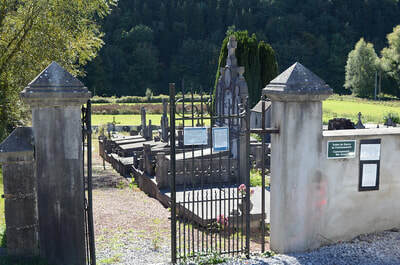 The village of Landelies is located south-east of Charleroi off the N580. From the E42 motorway turn off at the junction with the Ring R3 and follow the Ring to the junction with the N579. Turn onto the N579, direction Beaumont, and follow to the junction with the N580 direction Landelies. Follow the N580 towards the village, this is the Rue de Landerlies. Take the first turning left towards Landelies which is the Rue du Deversoir and cross over the river. Once over the river continue on the Rue du Deversoir to the center of the village. At the church turn left into Rue du Cour du Chateau. Follow this road until the second right hand bend and the communal cemetery is then on the left down a gravel track. Landelies Communal Cemetery contains one Commonwealth burial of the First World War. The memorial to the soldier, who died at Aulne (a farm on the river towards Thuin), was put up by the people of the commune. 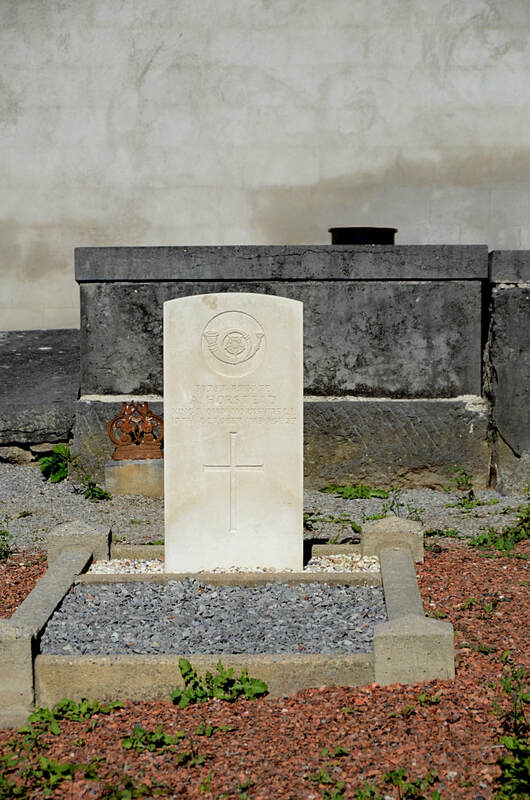 39787 Private Arthur Horstead, 2nd/5th Bn. King's Own Yorkshire Light Infantry, died 17th October 1918, aged 27. 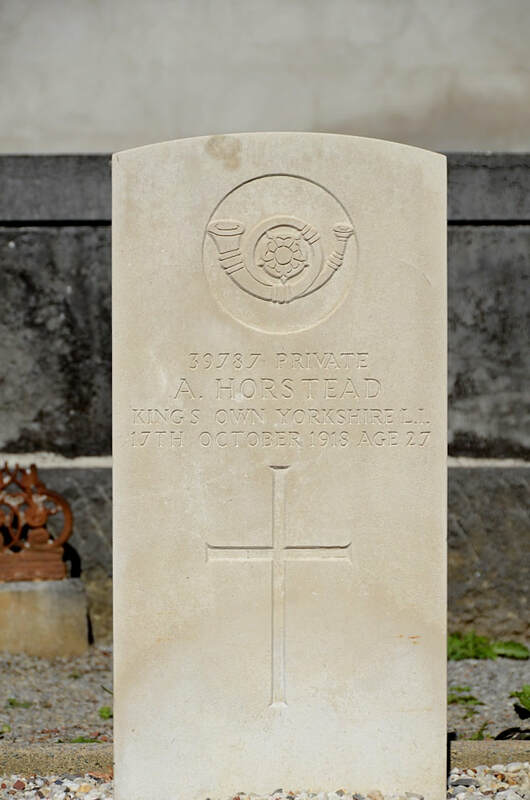 Son of Edward Horstead, of 20, John St., Doncaster.